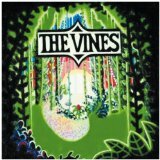 Highly Evolved is ranked as the best album by The Vines. Members who like this album also like: OK Computer by Radiohead, Funeral by Arcade Fire and Kid A by Radiohead. Bell's Eccentric Cafe, Kalamazoo, United States. Related links: top tracks by The Vinestop tracks of the 2000s, top tracks of 2002. Showing latest 5 ratings for this album. | Show all 178 ratings for this album. Perfectly good, but far from earth-shattering. Probably the least heralded of all the... "The" garage-rock bands that dominated the alternative charts in the early 2000s, they were the most straight-forward and most beholden to their influences (mainly the 80s american underground and grunge), but they had a decent enough sound and plenty of energy. Unfortunately they had a tendacy to write half-baked rock songs that were all hook and no sinker, every song feeling mildly dissapointing despite providing an initial blast. So overall, the sound was appealing but all the mediocre songs with no real distinctive artistic voice unfortunately makes for a middling listen, but at fifteen it was suitable enough for my rock-n-roll ankling for just riffs and attitude. Knocked my socks off at the time, and then... Hasn't aged well.